We have had many requests for an “intermediate” level class from our customers and students who have taken our beginning classes over the years. Good news-we heard you!!! For 2019, Western Rivers is proud to announce that we will again be offering a class for those of you who want to take your game from a beginner, to the next level. This class will focus on improving your fly-casting, more in-depth understanding of river entomology, and introduce/challenge you with some “unorthodox” but effective tactics and techniques that will help you expand your skills and abilities. This class will consist of 4 total class sessions. Three class sessions will take place in Salt Lake, and the final class will be out on our river “classroom”. Sessions 1 will take place at Western Rivers Flyfisher; and will focus on tightening up our entomology, knots, and fly set-ups. Sessions 2-3 will take place at Liberty Park, and will focus on tuning up casting skills, and basic presentation casts. 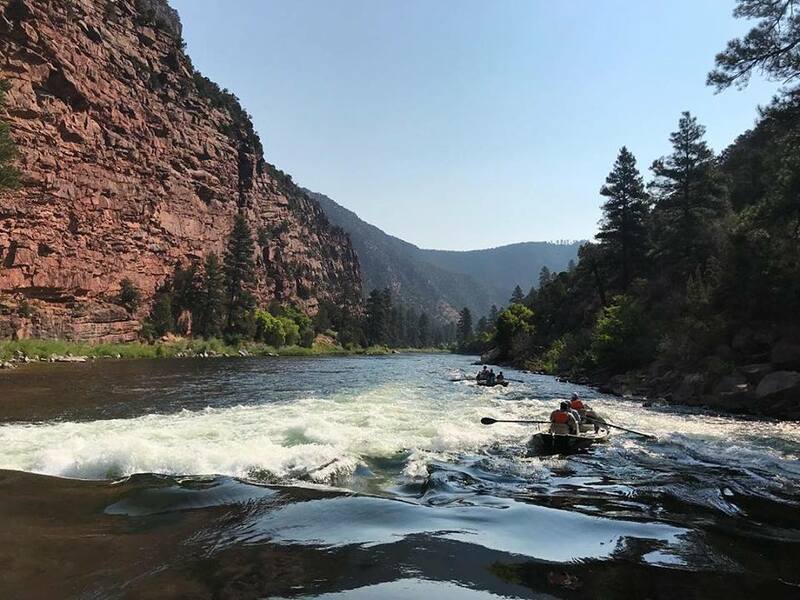 As an added bonus, the 4th and final class will culminate with a long weekend outing of wade fishing, and float fishing Utah’s fabulous Green River with the help of Western Rivers Guide Service. It doesn’t get better than that! If you have been looking to take you casting and fishing skills to the next level, if you feel like your fishing skills are stuck in a rut, and need a helpful push in the right direction, this is the class you have been waiting for. As always, Western Rivers has rental gear available to use for students in need of any essential gear. Sign-up soon, we expect this class to be VERY popular with our more experienced customers and students!! !